Stories from our previous 100 years as we look to the future! On Sunday, February 22, 2015 Highland Park United Methodist Church officially kicked off its Centennial Year. 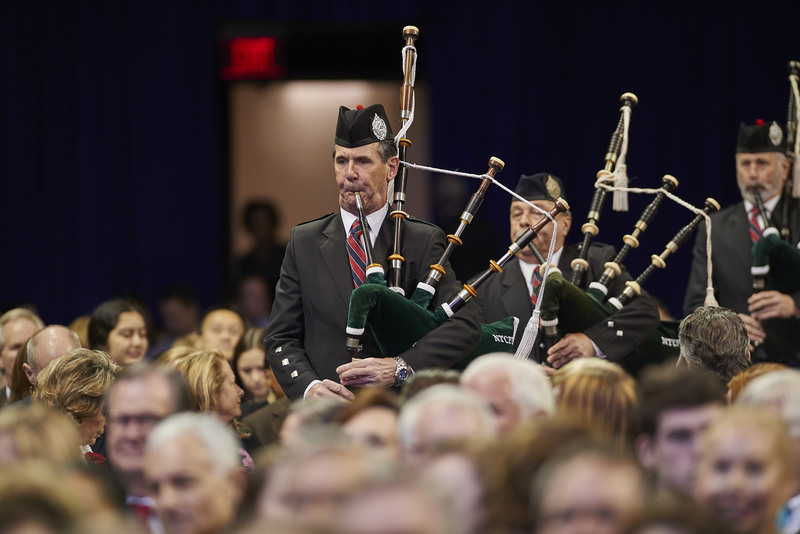 5,500 people packed into Moody Coliseum, on the campus of Southern Methodist University to mark the special occasion. Another 2,200 people from 6 countries and 64 metro areas joined the service from their computers, tablets, and mobile devices. A total of 200 ushers and greeters welcomed the crowd with friendly faces and helped them find seats in the packed coliseum. The service was unique in that it brought together all of the church’s worship venues, from Sanctuary, to Cornerstone, Cox Chapel, Kerygma, and HPUMC’s East Dallas Campus, Munger Place Church. 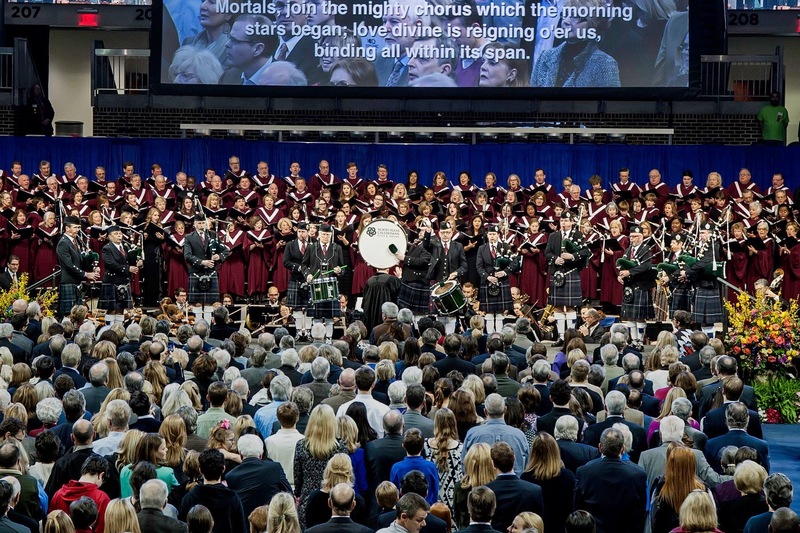 The fusion of the church’s multiple styles of worship was not only felt in the audience, but also on stage where Munger's Kate Miner joined Cornerstone Worship Leader Karla Nivens, along with a 160 member Chancel Choir and the Dallas Symphony Orchestra. More important than how many people filled the seats on Sunday, was the occasion that brought all of them together. In February of 2016, HPUMC will turn 100-years old. 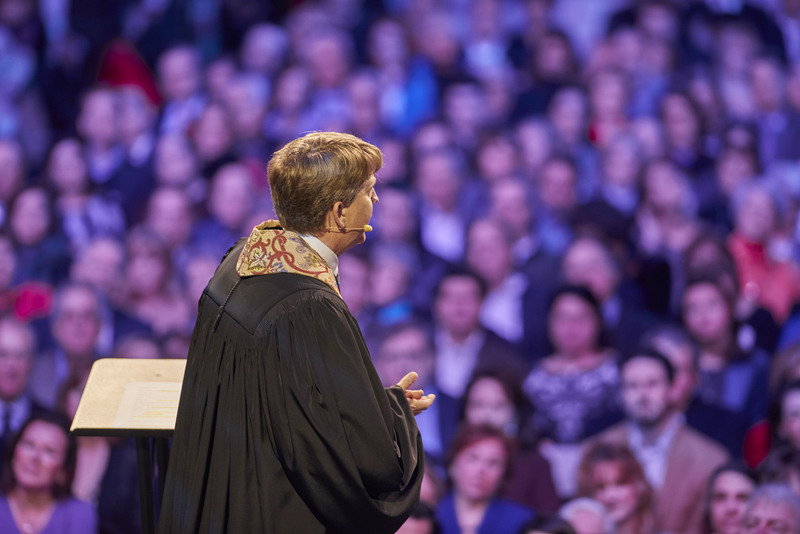 In order to honor that milestone, Senior Minister Paul Rasmussen wanted to focus not just on the future of the church, but also it’s foundation in faith. One of those leaders, Bishop Michael McKee of the North Texas Conference of the United Methodist Church, happened to be sitting on the front row. Later, while addressing the congregation, Bishop McKee credited HPUMC with setting a standard of excellence for the North Texas conference. A place Rev. Rasmussen says, the church has only reached due to the generations of leaders and congregants who came before. It is this foundation that the church plans to honor in the next 365 days to come. In his reflections, Rev. Rasmussen boiled it down to a legacy of five things the founding generations gave to HPUMC: a community worth having, a standard worth achieving, a message worth applying, a model worth changing, and a faith worth reproducing. The Scriptures call Christians to live with an extraordinarily high standard, one that HPUMC has taken up and placed at the heart of its mission as a church. Often times the goal of preachers can become too focused on simply teaching people the Bible. While Rev. Rasmussen says HPUMC does place a high emphasis on teaching Scripture, the church has always placed a heavier importance on teaching people how to apply the Bible. One of the things that makes Highland Park United Methodist Church unique, has always been its emphasis on having multiple styles of worship. To accomplish this, Rev. Rasmussen says the church has relied on a spirit of innovation and acceptance of change. 38 banners hung around the coliseum on Sunday, representing the many churches HPUMC has planted, from within the Dallas Metroplex, to as far away as Alaska. As Highland Park United Methodist Church prepares to usher in the next 100-years of ministry, it does so with the recognition of all those who come before. The Centennial Celebration that will take place leading up to HPUMC’s 100th birthday in February of 2016, will not only focus on where the church is heading, but will honor its history and rich legacy. The focus on both past and present, Rev Rasmussen says, is vital to properly hand off the baton to the next generation of HPUMC members, clergy, and staff.